The Mercedes-Benz GLC F-CELL (combined hydrogen consumption: 0.34 kg/100 km, combined CO2 emissions: 0 g/km, combined electrical consumption: 13.7 kWh/100 km) is unique worldwide as it features both fuel cells and a battery drive which can be charged externally using plug-in technology. Alongside various national and regional ministries as well as the National Organisation Hydrogen (NOW) and H2 Mobility, the first customers in the German market also include Deutsche Bahn, the German railways. Further handovers will also be made this year, including to the companies Air Liquide, Shell, Linde AG and also the cities of Stuttgart and Hamburg. Other business as well as private customers in Germany will also be able to enjoy access to the GLC F-CELL from the spring of 2019 via Mercedes-Benz Rent. The Mercedes-Benz GLC F-CELL is a unique plug-in hybrid as apart from electricity it can also run on pure hydrogen. The SUV is an all-electric vehicle suitable for everyday use which emits no CO2 emissions whatsoever during operation. The interplay between battery and fuel cell, a long range and short refuelling times make the GLC F‑CELL a vehicle which boasts high everyday practicality. The innovative plug-in fuel cell drive combines the advantages of both zero-emission drive technologies and, thanks to its intelligent operating strategy, continuously optimises the use of both energy sources in line with the current operating situation. This is also influenced by the selected drive program: ECO, COMFORT or SPORT. 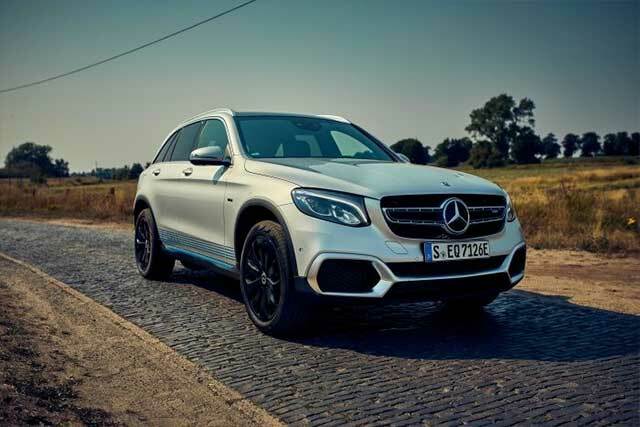 From the spring of 2019, other business as well as private customers will also be able to experience the new fuel cell technology and rent the vehicle via Mercedes-Benz Rent from one of the seven GLC F-CELL outlets throughout Germany. The GLC F-CELL will be available for both short and long-term rental via the Premium Car Rental service from Mercedes-Benz. A full-coverage infrastructure is an essential requirement for the success of electric mobility in Germany. Both the expansion of electric charging stations as well hydrogen refuelling stations is currently being pushed ahead. Whether at home, at work, on the road or when shopping: currently there are already various ways to supply electric vehicles with power. Daimler researchers have been working on fuel cell technology since the 1980s. In 1994, Mercedes-Benz unveiled the first fuel cell vehicle to the global public: the NECAR. Many other vehicles followed: to date, fuel cell vehicles from Mercedes-Benz, including the B-Class F-CELL, have together covered over eighteen million kilometres, thereby demonstrating the maturity of the powertrain concept.